We have all had the experience of listening to a piece of music that really stirs our hearts and minds. The music literally brings tears to our eyes and joy to our hearts. There is a reason for this that goes back through time to an earlier musical scale now referred to as the “Solfeggio frequencies”. This is a six note scale that bears some resemblance to our modern seven note musical scale. When related to music, ‘Solfeggio’ is referred to as the “ability to sight read music and sing the notes accurately (pitch wise) without the use of a musical instrument’. The Solfeggio frequencies are reputed to be the original frequencies used by the Gregorian Monks when they chanted. The chant, based on the six notes, penetrates deep into the conscious and subconscious mind, drawing forth emotional reactions which we are sometimes unable to completely control. Dr. Candice Pert, PhD, reinforces this observation stating, “Energy and vibration go all the way to the molecular level. We have 70 different receptors on the molecules and when vibration and frequency reaches that far they begin to vibrate”. These original frequencies appear to have been ‘lost’ over the centuries with the introduction of various new tuning methods. Even among ancient cultures, the power of sound waves was believed to have an effect on the human body. Shaman used chanting and drumming to focus their spiritual, mental and physical energies. In short, they created and used sacred music to heal. Modern man, until recently, had forgotten about the power of sound, that is until Drs Barber, Horowitz and Puleo ‘rediscovered’ it. Carl Sagan wrote that most of our genetic information (about 97%) is unused DNA. He refers to this as "genetic gibberish." Is it possible that most of who we are still lies dormant as our human potential? In the old paradigm of religion, "potential" remained a mystery to the human mind, therefore we coined a mystical term called "SPIRIT." "Spirit" was something that was detached from who we were, something we didn’t have and could only be gained through the systems of most religions. Being a student of "A Course In Miracles" in the late 80s, I was faced with a dichotomy in the idea that we are not a body. I never understood this statement fully until I began to study quantum physics, which tells us that everything is energy and matter is not as solid as we perceive it to be. I believe what is being stated is that at the deepest level we are not separate, as a body, as a spirit, as a soul — we are just energy-beings. This is the level of consciousness being opened to us from which a new paradigm is emerging for the purpose of healing all separation. The popular term, "The Divine is in me"- makes "me" separate from the Divine. May I suggest a shift in the saying to: "The Divine, AS me" to remove the separation. As we move from genetics and concepts like Soul, "Soul Mates" and "Soul work," we move beyond physical diagnosis into a new field of quantum physics. In this new field, where consciousness is seen as a unified field where everything is everything else, (T.O.E. Theory - The Theory of Everything) —there are no boundaries. There is no "this" or "that;" no you or me. It is a pure field of awareness – consciousness. I solved the dichotomy about "we are not our body" by changing my perception of genetics to energetics - realizing that we are not meant to ignore our physiology, but recognize the body as energy, vibrating at a very dense frequency. We know that intelligence is stored within the cells of the body, and when the right resonance comes and releases that information to become inherent information or inherent KNOWLEDGE – that comes from the true Self. That is why so many of us seem to jump form one stimuli to another looking for what will resonate in us. As I pursued my passion for the study of DNA, I attended a workshop by Dr. Robert Girard from California on DNA Activation. 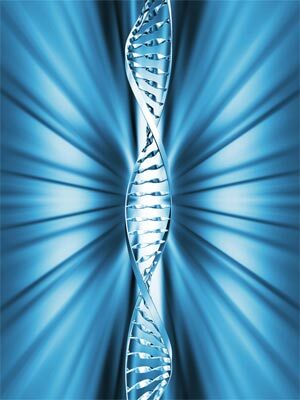 His work focused on using certain sounds and frequencies to activate DNA and I started doing DNA Activation workshops. Through those workshops, an article was given to me that reported how biochemists are using the frequency 528Hz to repair human DNA. The article stated that it was a "C." When I read that I thought, "All I would need to do is go to a piano or other instrument and play a "C" and then, in the DNA workshops we would be able to repair DNA." Well, it wasn’t that simple, because I discovered that the regular "C" that we all know of in this culture (which is from the diatonic scale of do, re, mi, fa, so, la, ti, do) was not the 528 Hz frequency "C", as described in the article. 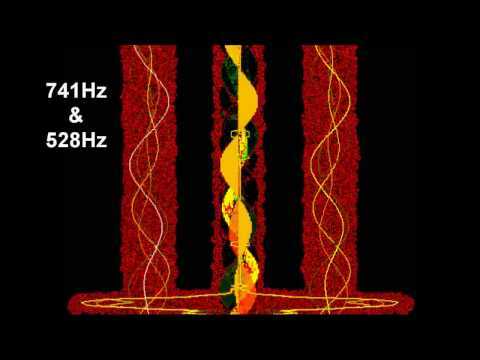 Instead, I discovered that a regular "C" vibrates to a frequency of only 512 Hz, and that the "C" of 528 Hz used in DNA repair had been a part of an ancient scale called the Solfeggio Scale. Moreover, the difference in the scales existed because of different tuning methods that were utilized in ancient times vs. those in general use today. Later, we will explore that difference between how we create music today vs. how we used to create it, and how that simple change has made all of the difference in the world. I found this ancient scale to be part of a 6-tone scale sequence of electromagnetic frequencies called the Original Solfeggio Scale through the book "The Healing Codes of Biological Apocalypse" by Dr. Leonard Horowitz. These particular frequencies were rediscovered by Dr. Joseph Puleo, who received them in a wonderful experience that some would suggest was mystical. These frequencies are not something new, but they are something very old. I shared the information about these frequencies with a musician friend who had a studio in her home. After reviewing the information, she decided that she would like to experiment with these frequencies in the form of meditation music. She was also in touch with Jonathan Goldman (author of the book, "Healing Sounds") and he knew of these frequencies, and was using them in some of his music such as "The Lost Chord" CD. 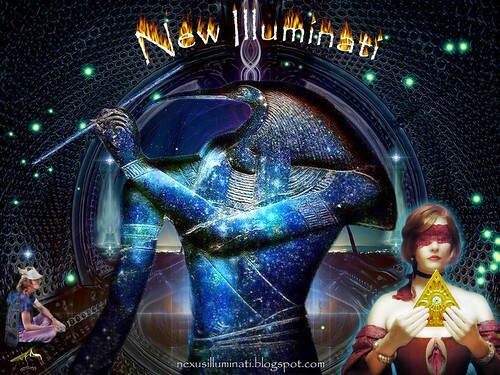 Aryiana requested that he have the tuning forks made for her to research the frequencies. I asked if she could also have a set made for me. After I received the tuning forks and began talking about them around the country, I noticed that people were resonating with the information about these powerful frequencies. It felt as though something was going on in a much larger picture. We were connecting energetically to this information, and yet I didn’t know what I was going to do with the tuning forks. Then people began to ask if I could use the tuning forks on them. From those experiences, and with information I had gathered, a method and technique began to develop. I called the technique SomaEnergetics, which is designed to utilize the optimum energy of the Solfeggio frequencies using tuning forks. Soma, meaning "body" in the Greek, combines the wholistic idea of the body as an energy field - SomaEnergeticsTM. When starting these first tunings, the main frequency that I knew the most about was 528 Hz – that biochemists are using for DNA repair. I realized that the right side of the body is controlled by the left half of the brain, and the left side by the right brain and that these correspond with our inner male and female energies. As I took the fork down each side of the body, I could get in touch with the dominant ancestral DNA that comes thru the Mother’s side or Father’s side of the chromosomes. I would many times get a tremendous imbalance in the sound between the two sides. The purpose of energy work, as many of you know, is to attain balance. For example, if everything is in balance, such as the ph level, the physical body can heal more naturally. It’s the same way in our energy bodies. If we can find that energy balance, that equilibrium, where everything aligns or everything comes into synchronization into the rhythm of the dance of life – then healing becomes the natural state. It’s nothing supernatural, or miraculous. I think a lot of spiritual texts have referred to this idea when they describe, "going home to heaven." Heaven, to me, is the complete synchronization with higher frequencies and vibrations of creation being totally entrained. In other words, being in a state of at-one-ment. When I would continue to do the technique, the sound would begin to even out between the male and female sides of the body, and the client would indicate they were "feeling" a shift. As that would occur, I was totally amazed, and asked myself, "What is happening here?" Although I’ve been a speaker on spiritual things for over 40 years, I can’t tell you that I’ve been the most intuitive person in the world. All of a sudden I started having certain feelings about what to do with the forks. I found that at some point in working with the client, I stopped "doing" the tuning forks (being the initiator of the technique), and they started "doing me" – seeming to direct the movement of the forks! After hundreds of tunings and positive testimonies, I have learned to trust the Ancient Solfeggio Scale frequencies in the form of tuning forks as a legitimate modality. Everything is relationship. I remember Dr. Fred Wolf (who is a physicist) stating on a tape, "Everything is consciousness." He further noted, "When you are observing an object, on some level the object is observing you." As I listened to that statement, I thought it was strange. I then realized that because something doesn’t have a human consciousness, as I do, that doesn’t mean it doesn’t have its own consciousness. Apparently, observing something changes it on some level – that the observer and the observed are one. I treat the Solfeggio tuning forks as a conscious "entity." They are energy, they’re vibration, they’re frequency – the client is vibration, frequency and energy – I am vibration, frequency and energy. All of that coming together begins to produce a synergetic experience that takes place on many levels. The energy bodies that we focus on using the Solfeggio Frequencies are the physical, the etheric, the mental/emotional, and the astral. For more than 200 years, researchers have been validating the connections of sound and vibrations on physical form. The first to make that connection was German scientist Ernst Chladni, who, in 1787, detailed his research in his book "Discoveries Concerning the Theory of Music." In that pioneering work, he explained ways to make sound waves generate visible structures. He detailed how a violin bow, drawn at a right angle across a flat plate covered with sand, produces patterns and shapes. The study of wave phenomena, the ability of sound to organize and repattern matter, is called Cymatics. According to John Beaulieu in Music and Sound in the Healing Arts, "Form is the more elusive component of sound. Sound-forms can be seen by subjecting mediums such as sand, water, or clay to a continuous sound vibration." The following pictures taken by Dr. Hans Jenny are sound-forms. They were obtained by placing various mediums on a steel plate with a crystal sound oscillator attached to the bottom. The oscillator creates a pulse, which vibrates the steel plate. The forms on the plate are examples of sound organizing matter." Jenny also "noticed that when the vowels of ancient languages like Hebrew and Sanskrit were pronounced, the sand took the shape of the written symbols for those vowels." "Space is not empty. It is full, a plenum as opposed to a vacuum, and is the ground for the existence of everything, including ourselves. The universe is not separate from this cosmic sea of energy." Jenny concluded that there were examples of cymatic elements everywhere—"vibrations, oscillations, pulses, wave motions, pendulum motions, rhythmic courses of events, serial sequences, and their effects and actions"—and they effected everything including biological evolution. The evidence convincingly demonstrated that all natural phenomena were ultimately dependent on, if not entirely determined by the frequencies of vibration. He argued that physical healing could be aided or hindered by tones. Different frequencies influenced genes, cells, and various structures in the body, he claimed. In " Molecules of Emotion," by Candice Pert, Ph.D., she writes, "… basically, receptors function as scanners (sensing molecules, on a cellular level). They cluster in cellular membranes, waiting for the right ligand (much smaller molecules than receptors), to come dancing along (diffusing) through the fluid surrounding each cell, and mount them – binding with them and (tickling ) them to turn them on and get them motivated to vibrate a message into the cell. Binding of the ligand to the receptor is likened to two voices, striking the same note and producing a vibration that rings a doorbell to open the doorway to the cell." "The forms of snowflakes and faces of flowers may take on their shape because they are responding to some sound in nature. Likewise, it is possible that crystals, plants, and human beings may be, in some way, music that has taken on visible form." I discovered that these powerful frequencies had been given to the church many years ago for a very spiritual purpose. This was back when the church was a wonderful place for the people in the villages to gather together. The church served as a social, political, and spiritual place. People came to Mass, which at that time was done in Latin (until Vatican II came along). When people sing in Latin or musical tones it is very powerful, because it gets through all of the limited thought forms and into deeper levels of the subconscious – accessing insights beyond belief systems. As described above by Dr. Candice Pert, PhD, energy and vibration go all the way to the molecular level. She states that we have 70 different receptors on the molecules and when vibration and frequency reaches that far they begin to vibrate. Moreover, she observed, "as they begin to vibrate they sort of touch each other, and tickle each other, and they play and mount each other." It’s this whole energetic dance ritual at the cellular level that opens the chromosomes and exposes the DNA to the frequencies. When we do toning, drumming, chanting, or use tuning forks it can be a way to direct energy for transformational purposes. Additionally, as Dr. Puleo researched the tones further, he came across a book on Gregorian chants by Professor Emeritus Willi Apel who "argued that the chants being used today were totally incorrect, and undermined the spirit of the Catholic faith." 1 Moreover, Professor Apel reported that "one-hundred fifty-two chants were apparently missing. The Catholic Church presumably "lost" these original chants. The chants were based on the ancient original scale of six musical notes called the Solfeggio." 1 Trust me, nothing is lost, it’s just neatly put away; however, they cannot hide from the masses what is energetically placed within the Soul. According to Professor Willi Apel, 1 "The origin of what is now called Solfeggio... arose from a Mediaeval hymn to John the Baptist which has this peculiarity that the first six lines of the music commenced respectively on the first six successive notes of the scale, and thus the first syllable of each line was sung to a note one degree higher that the first syllable of the line that preceded it. By degrees these syllables became associated and identified with their respective notes and as each syllable ended in a vowel, they were found to be peculiarly adapted for vocal use. Hence "Ut" was artificially replaced by "Do." Guido of Arezzo was the first to adopt them in the 11th century, and Le Marie, a French musician of the 17th century added "Si" for the seventh note of the scale, in order to complete the series." I’d heard of do, re, me, fa, so, la, ti, do. I particularly responded to it whenever I hear that song by Julie Andrews from "The Sound of Music." I literally have a "brain cell firing" as it is engraved into my brain, and I see her coming over the mountain in the movie. I didn’t realize this was actually a second, modified scale. The original Solfeggio scale was actually: UT, RE, MI, FA, SO, LA. Looking at the definitions of each of the original syllables, using hidden entries from Webster’s Dictionary and the Original Greek Apocrypha, I have determined that these original frequencies can be used for: Turning grief to joy, helping the person connect with their source to bring forth miracles, DNA repair, connecting with spiritual family, solving situations & expressing yourself and finally, becoming more intuitive. 2 Through music these tones can assist all the channels in staying open and keep the life force (the chi) literally flowing thru the chakra system quite freely. Is this is what the six electro-magnetic frequencies were to accomplish that were put into "lost" hymns and Gregorian chants? I think we are living in a tremendously wonderful time, and rather than seeing the glass as "half empty" I see it as "half full." Rather than accepting "CNN’s perspective" of the world view, it’s about finding perspective thru the vision of your own heart. It is about change and transformation of mankind to the next level of evolution. We, as spiritual light workers, have made ourselves accessible at this time, by divine appointment, to be here to help those in humanity who choose (it’s all based upon irrevocable choice) to stay, or to go. 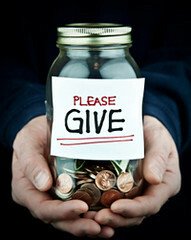 Those who have chosen to stay will come into our lives, and we have already agreed to assist them. It’s all about assisting other people. It’s not to be their "Healer," but to assist them in knowing who they are and connecting with their true source. It is about providing an atmosphere of non-judgment, a sacred space, for the purpose of healing themselves. We should be continuously teaching while assisting people. The old paradigm teaches us to keep the information among the professionals. The new paradigm is to share the information, and empower the client. Everyone you work with—whether it’s Reiki, massage, tuning forks or other modalities you are using - you should feel that you’ve empowered that person, so they can extend this information to someone else. Healing has become about our evolution by reconnecting our additional strands of DNA. Healing is also about assisting the person in restoring themselves to a state of "spiritual wholeness." As we look at the six original Solfeggio frequencies, using the Pythagorean method, we find the base or root vibrational numbers are 3,6, and 9. 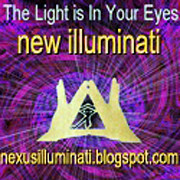 Nicola Tesla tells us: "If you only knew the magnificence of the 3, 6 and 9, then you would have a key to the universe." Other scientists, including the geniuses Nikola Tesla, Raymond Rife, as well as Mozart, Haydn, Beethoven, and Chladni, all must have known about and used the concept of the inherent power of threes, sixes, and nines… Every one of the six Solfeggio tuning forks all add up individually to the Pythagorean scheme of 3-6-9. In fact, because there are two sets of 3-6-9 (anagrams) in the Solfeggio, they are even more powerful as these combinations serve as "portals" to other dimensions. As I observed earlier, another reason these Ancient Solfeggio frequencies became "lost" was because of the change in tuning practices throughout history. The standard tuning method for the past 200 years is quite different from the tuning practices dating from antiquity through about the 16th century A.D. These ancient tuning practices used a system of tuning known as Just Intonation. The tuning practice adopted for western cultures during the 16th, 17th, and 18th centuries, and used today, is known as Twelve-Tone Equal Temperament. The explanation of the fundamentals of these tuning systems is far too complex for this agenda, but the following quote from a book written by David B. Doty, titled The Just Intonation Primer, should give an idea of the confinement that music has been relegated to. "Essentially, music has been placed in a box of limitations"— as the result of the rigidity imposed by the Twelve-Tone Equal Temperament tuning standards in use today. Just Intonation can be found in many of the great works of classical music – of Beethoven and Hyden, just to name two. They did not use this 12-tone temperament and I think that is why we have a richer experience when we hear music that was composed several hundred years ago. Classical Music based on Just Intonation gives us a different rapport with time and space and brings us into our higher chakras. Consequently, since all music in our contemporary world (from commercials to modern hymns and symphonies) has been composed utilizing the Twelve-Tone Equal Temperament Scale, they all have vibrational limits. As a result, vibrational frequency of the tones of modern music can create situations such as "boxed-in thinking," stuffed and suppressed emotions and fear-based " lack" consciousness — all of which then tend to manifest into physical symptoms of "dis-ease." Again, it should be noted that although there are contemporary notes that approximate the Solfeggio tones, they are not the same frequencies as the ancient tones. 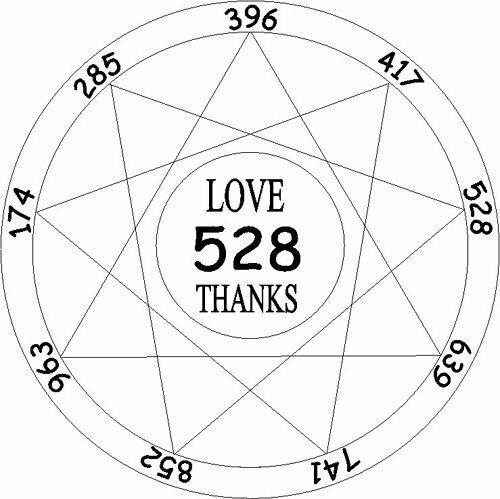 Example: The Solfeggio tone, Mi, vibrates to 528 Hz. The closest comparable contemporary tone is C, above Middle C, which vibrates at 512 Hz. Our research indicates that the vibrational frequencies contained in the Solfeggio tones hold these original healing potentials. Transformational Tuning Forks and CDs based on the ancient Solfeggio Frequencies. · David B. Doty, "Just Intonation Primer"
· Candice Pert, PhD, "Molecules of Emotion"
· Michael Talbot, "The Holographic Universe"
· Dr. Rees, "Just Six Numbers"
Vibrational symphatetic resonance medicine is based on the idea that all illness or disease is characterized by a blockage of the energy channels on some level. When there is a blockage, the organ in question stops vibrating at a healthy frequency and thus it results in some kind of illness. This software maybe usefull for experimenting with chords of healing frequencies. There are telomeres attached to the chromazones. There are like medical repaire units. The problem is that they are shut off in most everyone today.They can be reactivated if your spiritual affairs are in order first.Fasting for three days is paramount. I would never suggest that anyone fast for more than three days because after three days damadge will start to occur.Yes I do not text English properly,my preferred language is Latin. I wish it was more popular example:propitchiate means to say before it happens and it happens as you say.There are four versions of a word when you know allfour of them you master that word.I was propitchiating in my propitchiatory state of propitchiating propitchiation.propitchitorally. So I do not spell or grammer properly at least I know that gravity is static electricity. The book taught say I am wrong even though it is the only electrical force left..
Why do you wish to remain anonynmous,have a tenure.I think that you are intelligent.What I have found is that the chromezones record all frequancies they are exposed to.The thing that I am trying to uncover is why are our teletmeres deactivated?the telomeres are able to make any repairs necessary to the human body. We should communicate more as I have a gut feeling that we could see eye to eye. And to Quantify my theory without mathematics.It goes like this:Our iron core is rotating inside magma which is dielectric and it generates electricity just as a generator does. This produces our magnetic field. Gravity is electrostatic created by friction.,particles crashing into eachother and this causes an electrostatic charge.A good example is when you rub a balloon on your hair the balloon becomes charged and will attract anything except ferris metals.Once you separate the two it starts to make sence. Now I will drop the bomb,here it comes:Planets that have gravity do not necessisarly have a magnetic field. Our moon has 1/6 the gravity of Earth yet it has no magnetic field. Who says that only math can prove science.The laws of the universe exested before we did so all we have to do is to realize what is already there. I got the same results in my own private studies.174cps is Do,285cps is Ka,396cps is Ut,417cps is Re,528cps is Me,Fa,Sol,La,Ti,Do. So the phonic order is Do,Ka,Ut,Re,Mi,Fa,Sol,La,Ti and again Do. I remember in music class it was Do,Re,Mi,Fa,Sol,La,Ti,Do. What happened to Ka and Ut. I use cps(cycles per second)because beginners will say why do they all the frequancies hurt.Ka is 285cps and is for quantum cognition.Thats enough for now. This is what I have in my personal notes:Ka,Ut,Re,Mi,Fa,Sol,La,Ti,Do. 174Hz,285Hz,396Hz,417Hz,528Hz,639Hz,741Hz,852Hz,963Hz. Quantum cognition,Ofun,Oshe,Otura(miracle D.N.A. repaire),Irete,Ogbe,Oyeku,Oturupon and one more unknown to me. 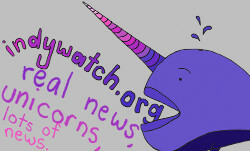 If someone thinks that I am in error your reply is absolutely welcome.The truth has never hurt me yet and I am wrong once in awhile.As far as I am concerned this is the best forum on the web.I will tell you something that humans can be proud of,N.A.S.A. and Boeing as they bothstill manage to get me to believe in the future. The 528 is of the solfigio fibanacci sequence. The 512 referes to a musical relations to frequancies and the doubling of the previous number as in computers.512,256,1028 and so on. so start with 1 _ _, 2 _ _, 3 _ _, 4 _ _, 5 _ _, 6 _ _, 7 _ _, 8 _ _, 9 _ _.
so now i have 1 _ _, 2 _ _, 3 _ _, 4 1 _, 5 _ _, 6 _ _, 7 _ 1, 8 _ _, 9_ _. 1 _ _, 2 _ _, 3 _ _, 4 _ _, 5 2 _, 6 _ _, 7 _ _, 8 _ 2, 9 _ _.